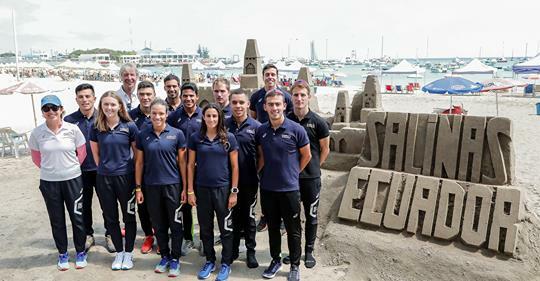 Salinas ITU Triathlon World Cup was the penultimate stop on the calendar for the 2018 ASICS World Triathlon Team. Twelve athletes from eight different countries including Bermuda lined up to advance their racing careers and further their triathlon dreams of competing at the 2020 Tokyo Olympic Games. While this development programme is so beneficial for triathletes at the professional level because it provides them with so many opportunities and resources that they otherwise would not be able to have access to, such as proper coaching, massage therapies and financial aids just to name a few, most members on the team might agree that what is most beneficial for them is the personal achievements that they are able to accomplish due to participating in the programme.